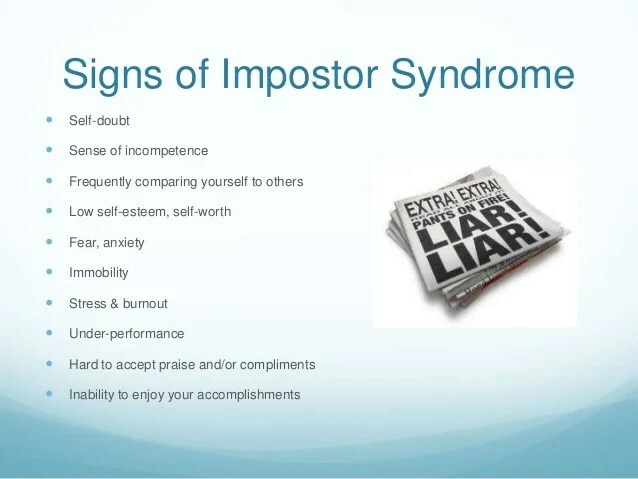 As long as you continue to learn and grow, pushing the boundaries of your abilities its possible you have experience what is known as impostor syndrome. Yes, it’s a very real thing mostly affecting women. Believe it or not a lot of successful women often experience the feeling of inadequacy, the feeling that someone will find out they are not as good, even though evidence of there accomplishment prove otherwise. The feeling of always doubting yourself, fear of success and disregarding your success. People who suffer from impostor syndrome internalize their failure instead of realizing that it’s the strategy that failed. Because been successful often thrust people into the spotlight, this increases the internal struggles of what they are feeling and how others may see them. Every successful person understands the pressure not to fail. However for those experiencing these feelings they see failure as been found out. They constantly question their abilities. What if am not as good, as intelligent, as creative, and as smart. Despise the awards, the grades and other evidence of success. Self-doubting is a powerful thing it can prevent you from advancing in your career or like many of these entrepreneurs you could probably say this impostor feeling fuel their need to be on top of their game.Working hard to prove that they are that good. It is well known with hard work comes success, and with success comes visibility and added responsibility; a success people with imposter syndrome rarely enjoys. You are probably tempted to judge right now, but if you’ve never worn these shoe don’t. Even the great Steve Jobs reportedly felt insecure about his achievement. Write down the things you are good at to remind yourself of your strength. Don’t make perfection your goal strive to be the best and reward yourself for your achievement. Thank you thereelbee. It surprises me that this has not gotten a lot more attention, because a lot of successful people suffer from it. Reach out to someone who understands this, who can help you through it. I have talk about the way I feel and it certainly helps. keep writing down your accomplishment its a helpful reminder of your proven success. Keep reading its individual like yourself that keeps me writing.